Christian Formation is a Lifelong process or as some like to call it: FROM WOMB TO TOMB. At St. Joseph Parish our faith formation programs, opportunities and ministries are designed to assist all who seek out opportunities to meet Christ on their journey of faith at whatever stage and situation in life they find themselves. They start with the first introduction of our newborns to the Christian Community – Baptism and extend to Grief Support with many opportunities in between. 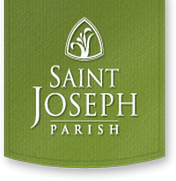 St. Joseph Parish offers a variety of programs designed to meet these needs. To continue to carry out our Baptismal commission to bring the Good News of the Gospel to all. To assist in creating and maintain a community of faith that is engaged in ongoing faith formation that is lifer long.